West Hollywood / United States. Hands down, amazing whisky... You can spend hours and hours with all the layers of goodness both on the nose and on the palate. It was almost impossible to keep up with the aromas and flavors popping up one after another while I was trying to scribble down the notes. It's like watching a rapid slide show of images of references and memories. I know that it carries a pretty steep price tag but if you ever decide to blow $200 on a bottle of whisky you should consider yourself damn lucky if you can score something half as good as this. I don’t know what my preconceptions were, but at a higher ABV, I think I expected this to be difficult to drink and fiery. Instead it is almost criminally easy to drink. There is a creamy, mellow quality to it that remind me of the better Irish pot stills that I have had the pleasure to drink. However there is a “different” quality to it, which comes from the silky sweetness. This is a whisky that glistens and shimmers in both looks and in taste. Summer is coming and it has us thinking about spicy whisky. I continue to be fascinated by the story of single malt whisky in India and of Paul John themselves. Based in Goa, they produce several expressions but this is their "Peated Select Cask"Rife with sweetness - demerera and muscovado flavours, with a real chocolateyness and of course some peaty, smoky flavours. Remember this whisky is young, only 6 years old I believe. Bottled at 55.2% ABV, it's a beast, but a sweet beast; the kind that you'd pay money to pat at the local fair. If you haven't tried Paul John whiskies, get around them. San Francisco / United States. Two years ago, I would say that I would not be a fan of Indian single malts. But what a rise in just two years!!! 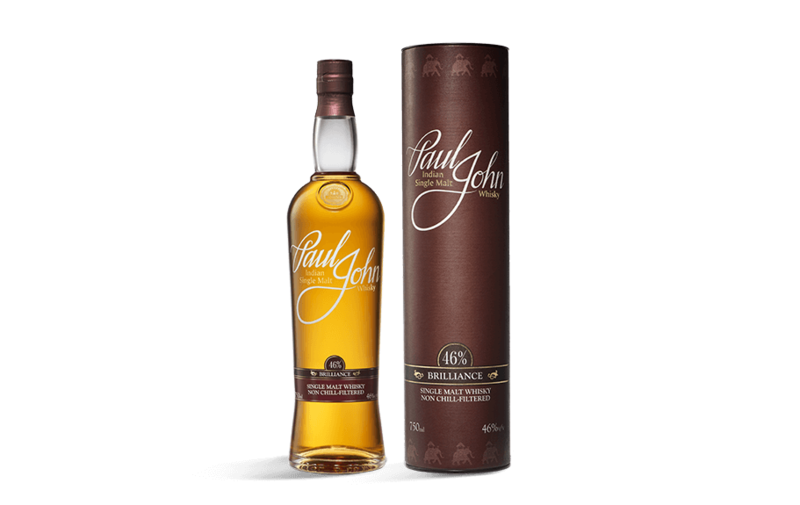 I am becoming a fan of Indian single malts every day and this beautiful @pauljohnwhisky Edited is one of them. Got the balance, fruity palate with exotic spices and just enough peat! Can't get enough of it.